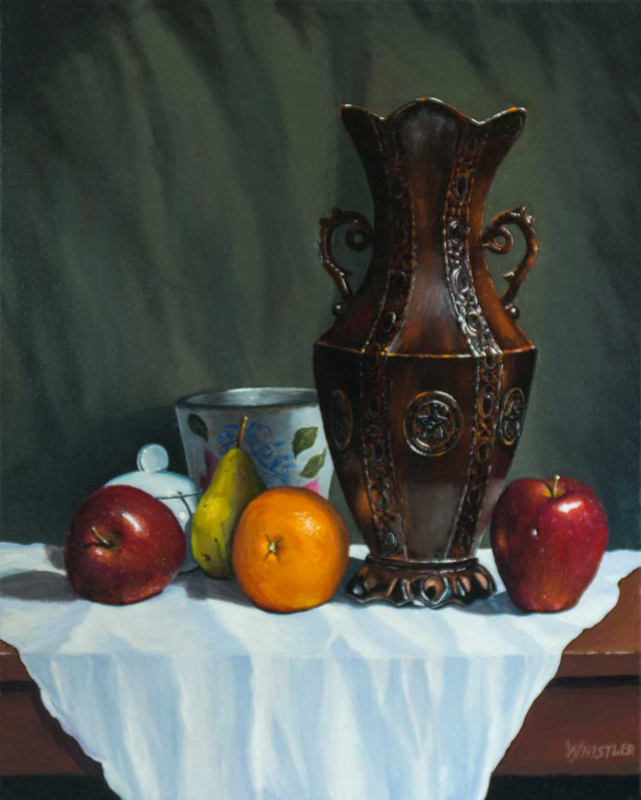 Oil on canvas still life. I don't know much about this vase, but when I saw it I knew I needed to paint it. I also knew it would be a tough subject to paint. It was a challenge. 6.25" x 5"8.25" x 6.75"